This town know for hot springs that has a history of approximately 1400 years. 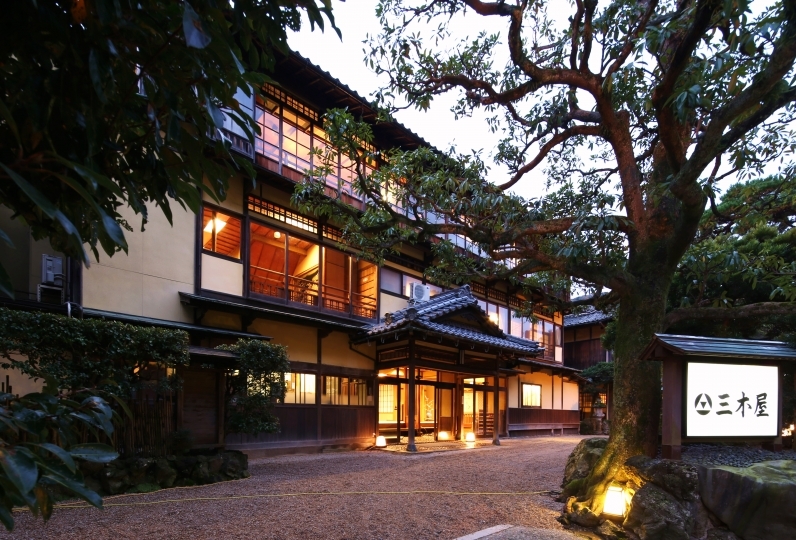 This ryokan was opened in 1916. We have prepared rooms that anyone will be able to relax in. Please come and free yourself from the weariness of travel. We will provide you with attentive service. 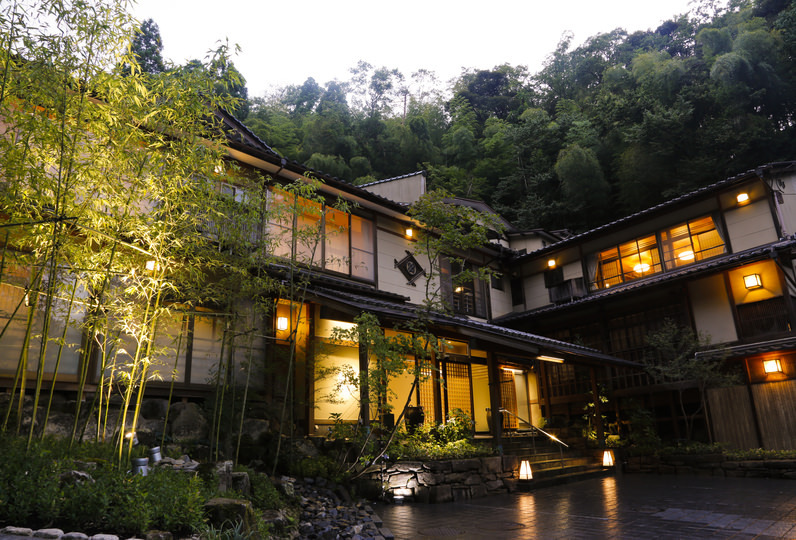 This ryokan is located in the perfect location of 6 minutes from JR Kinosaki Onsen Station. After you have rested a while in your room, change into a colorful yukata and visit the hot springs available around town. You are sure to be able to enjoy your time here. We provide 2 large bathing areas. You may also chose to rent out private baths: one is an outdoor bath and the other is a micro-milk bath. In the summer you can enjoy the fireworks and in the winter you can enjoy the snowy landscape. The cuisine here provides the best of the season prepared in the most delightful way. 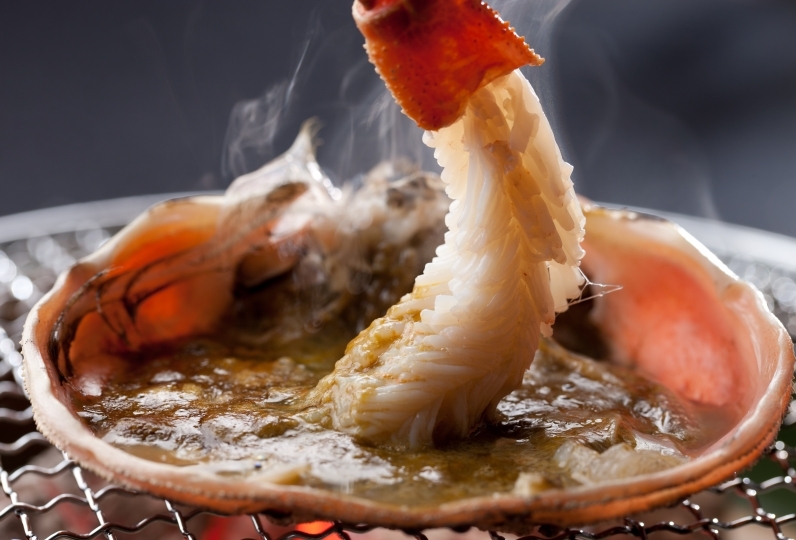 Throughout the 4 seasons you can enjoy Matsuba crab, Tajima beef, and the many treasures of the sea and mountains. Enjoy our cuisine that provide the seasonal delicacies of Tajima to you. Enjoy the slow pace of time here at Kinosaki. Our service that has not changed since out beginning will surely delight you. It was nice to be kind to the people who picked it up. ◆We have a few different types of bath supplied with our natural Kinusaki hot springs. You may also enjoy our dry sauna and and rain shower. ◆Enjoy our basalt rock bath that will allow you to relax in peace. Dry sauna and rain shower also available. Located in our lobby, you will find a convenience shop and snack bar. In the night lounge you can enjoy karaoke in one of our 2 karaoke rooms. This is a 6 story ryokan rare to the Kinosaki hot springs. Our lobby and elevator are spacious for your leisure. Kinosaki hot springs is well known as a location to walk around and visit different hot springs within the town. 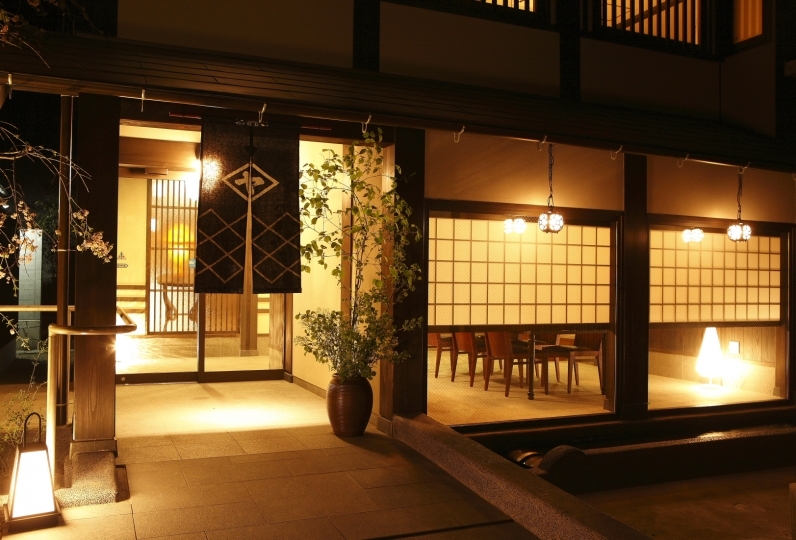 It is natural to be in the ryokan as well as outside around town. For dinner you can enjoy the bounty of the sea or Tajima beef, Youka pork, or Tajima poultry. During the winter you will be able to also enjoy Matsuba crab as the a new restaurant called "Crab Kingdom" will be open. "Yumepa" is an outside bath requires a bar-code ticket to use. It is available for use from 3pm to 11pm and will be available until 10am the next morning. You can use a discount ticket until 4pm and is available for use at the outside bath, museum, and ropeway. 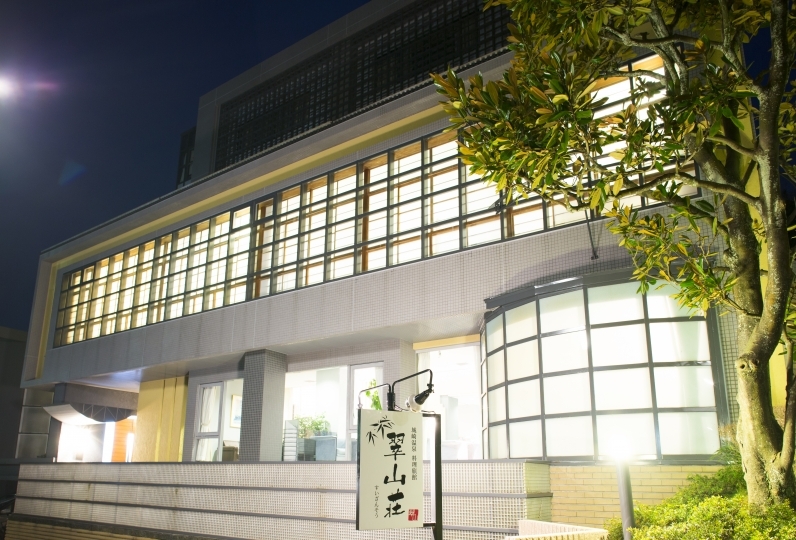 6 minute walk from JR Kinosaki Onsen Station. Shuttle services available 30 minutes by bus from Konotori Tajima Airport.